Where to Sell My iPhone? What to Do before Selling? According to WWDC 2018 rumors, Apple is making second generation 4-inch iPhone. It is being called iPhone SE 2. It is also being said that this new device will be an upgrade to the iconic 4-inch iPhone known as iPhone SE. Read on to learn more. Bonus: What to Do Before Selling Your Old iPhone? This is an important feature. 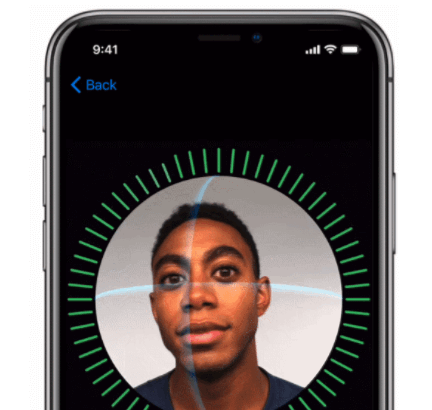 Since the Face ID feature is expected, you can also expect to get no Home button and an edge-to-edge display screen. The ‘iPhone X SE’ is also rumored. It is the LCD version of the iPhone that is expected to launch in the autumn. This phone will surely get Face ID feature, similar to iPhone X. You can also expect to get Portrait Mode for front-facing selfies as well as Animoji. If these features are expected in the ‘iPhone X SE’, then you can be sure that if Apple will launch an upgrade model to the iPhone SE, then it will also contain similar features. However, the Touch ID Home button will likely be included. iPhone SE 2 is rumored to have a glass back. Because of this, it can be concluded that the device will have wireless charging support. Having the wireless charging support can be a big deal for many iOS users. 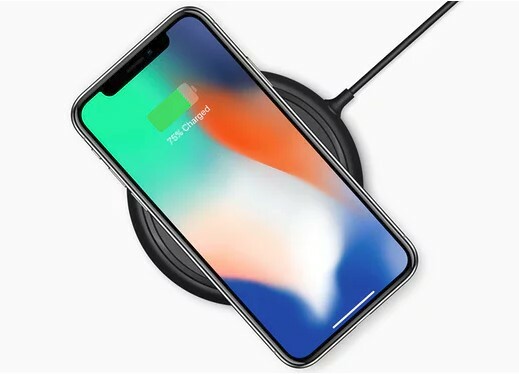 And if the rumored 4-inch second generation iPhone supports wireless charging, then it will definitely be a key selling point for many iPhone lovers. 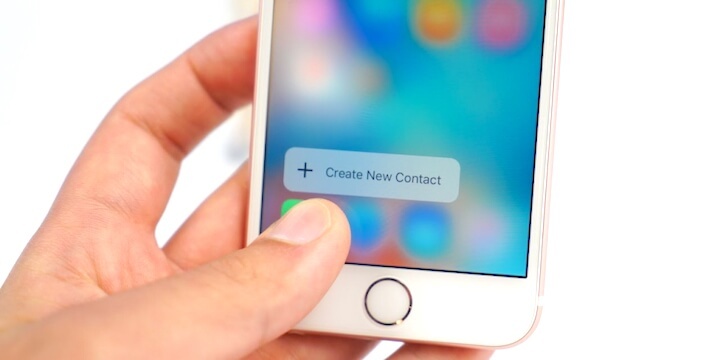 3D Touch screen tech from Apple has been around for some time now. Most of the newer iPhones and iDevices are equipped with this tech and it feels logical that the rumored iPhone SE 2 will also have it. Although according to sources, this will not be the case. Some reviewers are saying that 3D Touch is a feature that is nothing more than a gimmick that only those customers may enjoy who purchase the more expensive iPhones. So the iPhone SE 2 may or may not have this feature. The current iPhone SE is equipped with 12MP camera. It has an f/2.2 aperture. The iPhone 8 is also equipped with 12MP camera, but it has an f/1.8 aperture. Considering the camera specs of the existing iPhones, it is likely that iPhone SE 2 will feature a camera with similar or higher specs. The lack of camera bump is one of the key differences between the iPhone SE and the iPhone 8. iPhone SE 2 may or may not have camera bump, but many iOS users are hopeful that it will have a flat camera on the back. iPhone SE is equipped with 2GB RAM. Since iPhone SE 2 is being called an upgraded version of the existing iPhone SE, you may expect it to have a little bit more RAM. But it wouldn’t be a surprise if the amount of RAM of iPhone SE 2 is the same as the existing iPhone SE. Rumors have it that the device will get the A10 chipset. You can expect the iPhone SE 2 to have 32GB or 128 GB storage options because these are the storage options that are common amongst the newer iPhones nowadays. iPhone SE comes in many color options. These include rose gold, gold, silver, and space gray. These are the standard iPhone colors, so you can expect the same color options for iPhone SE 2 as well. But some reviewers are hopeful that it will have (Product) RED and jet black color options. While it is not sure that Apple will put the extra effort or time into adding these color options to the lineup, but it could be possible. What to Do Before Selling Your Old iPhone? If you are planning on selling your old iPhone in order to save up for a newer device, then you may be thinking about resetting it to protect your privacy. While factory reset may seem like a good way to do this, it is not. This is because data erased by factory reset is not permanent and can be recovered via a data recovery software. It is recommended that you use iMyFone Umate Pro for this purpose. 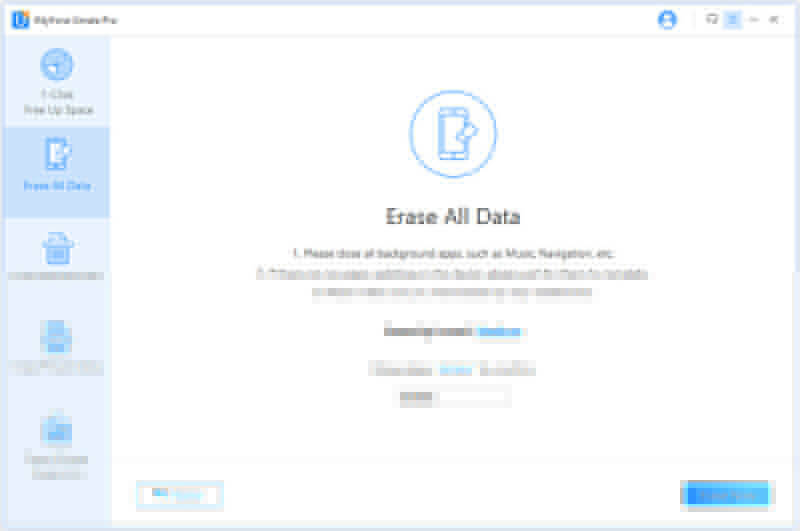 iMyFone Umate Pro is a safer option than factory resetting because it erases data permanently without any chance of recovery. So your privacy will be protected. 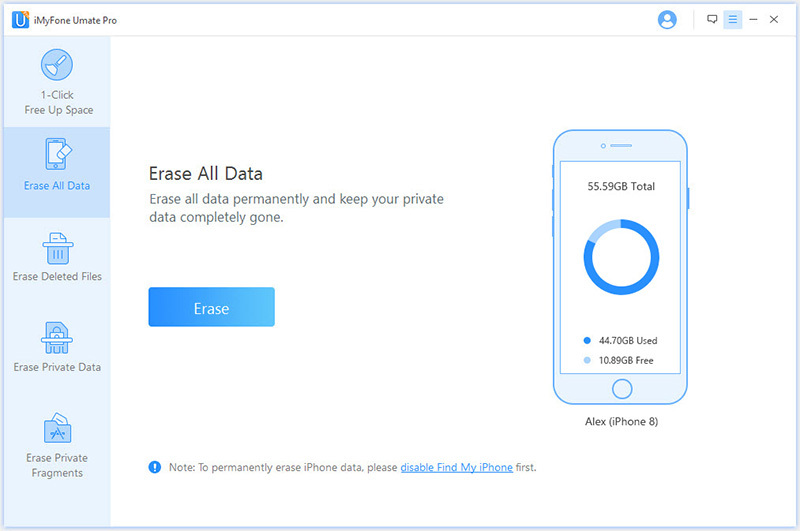 Completely erase your old iPhone, so you can have the peace of mind that no one will be able to recover your private data after you sell your device. Relatively safer option than ordinary factory reset because all kinds of data and settings will be deleted with a single click. Allow you to preview files before erasing, so that you can delete them selectively. Allow you to find and erase traces/fragments of your already deleted files. Step 1. 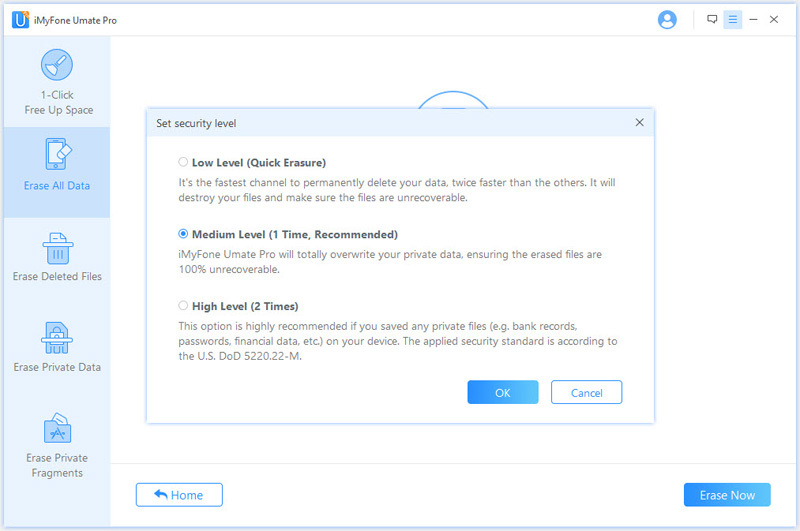 Install iMyFone Umate Pro on your Mac or Windows computer, then launch it. Step 2. Connect your iPhone to PC. Step 3. Choose Erase All Data mode and click on Erase button to start the process. Step 4. Set security level: select High Level, this option is highly recommended. Step 5. Type 'delete' into the box, then click Erase Now button to permanently erase all data on your device.